The Netherlands has a population of 17 million, with over 96% (16.4 million) of these regularly using the internet (source). 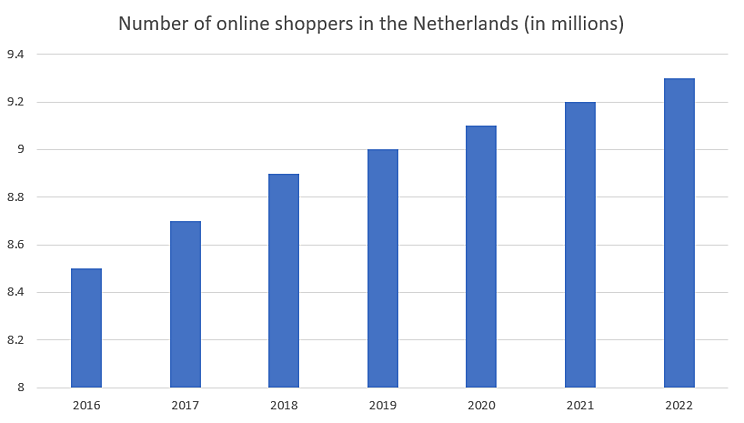 This means the Netherlands is a well-established hub for internet shoppers - with online spending predicted to reach nearly $25 billion for 2018. Dutch GDP grew by 2.98% in 2017 (source). With an understanding of the Dutch e-commerce market, a means of effectively optimizing and managing your data and a careful selection of sales channels, you can gain a foothold in a thriving industry. As we saw in our e-commerce guides to Denmark and Sweden, clothing/fashion is the most popular product category in the Netherlands - with a predicted market volume of $5.7 billion US in 2018. Following the trend that we are seeing on a global scale, online shopping for groceries is also becoming a major sector in the e-commerce market. Germany supplies the Netherlands with 86.6 billion USD in imports and their other main importers are China ($57.4 billion), Belgium ($44.7 billion), the United States ($39.7 billion) and Russia ($29.3 billion) (source). Internet penetration in the Netherlands is currently 87.7%, and is predicted to reach 89.1% by 2022. Smartphone penetration is a little less (73.6%) in comparison to the high values we saw in Sweden, Denmark and Norway , but is projected to grow to 84.7% in the next four years. 86% of online shoppers in the Netherlands buy via desktop, a stark contrast to the amount of smartphone (3%) and tablet (8%) shoppers. 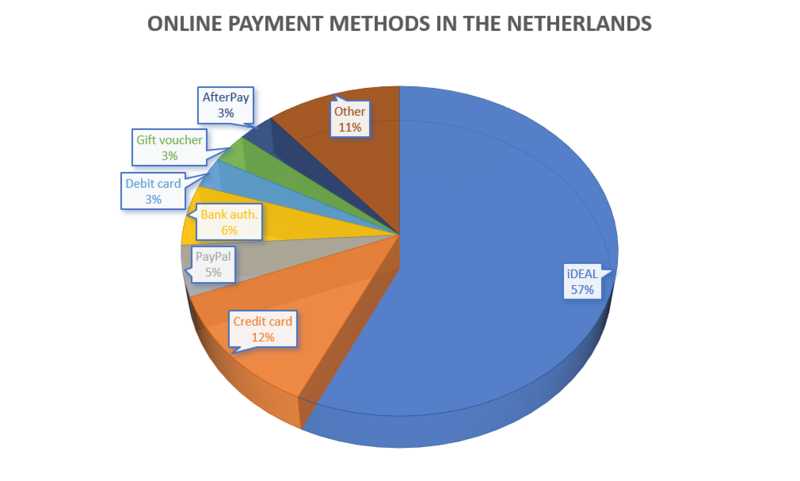 As you will see from this list, e-commerce in the Netherlands is unique in being dominated by Dutch brands, unlike the Nordics - where we saw significant overlap between popular channels like Prisjakt or PriceRunner. 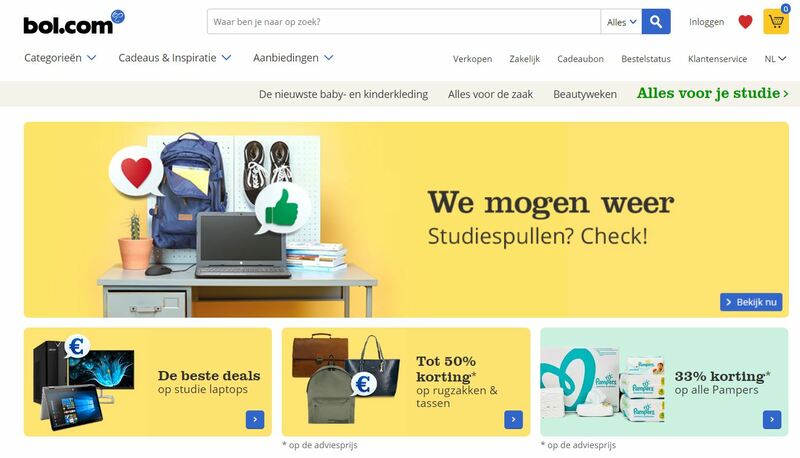 Bol.com is consistently the top ranked webshop in the Netherlands for books, toys and electronics, with more more than 8 million customers in both the Netherlands and Belgium. When submitting a feed to Bol.com, all product listings require: EANs, condition, stock, price, delivery code - plus a number of recommended fields, you can get the full list of requirements here. Coolblue began as a student company in 1999 and is now one of the fastest growing e-commerce companies in the Netherlands and Belgium. Soon after the first launch, the Rotterdam-based company started opening more online stores that focus on one product category, such as PDAshop.nl, Scheerapparaatshop.nl “(Razer shop”) or Statiefshop.nl (“Tripod shop”). 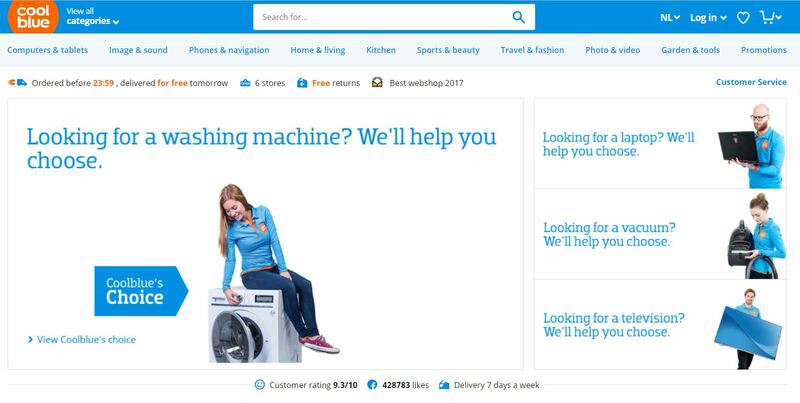 Nowadays, the company sells mostly consumer electronics, white goods and fitness equipment - as well as fashion, DIY and garden. Get in touch with WakeupData to hear how we can get your products listed on Coolblue, and visit their Business site to find out more info. Amazon is ranked 6th overall in the Netherlands, a place it’s not familiar with if you look at its position in comparison to other European countries. We have produced a short blogpost on what the requirements are for product datafeeds for Amazon sellers - which include factors like title, colour, brand, product descriptions and EANs. Talk to WakeupData to get connected to any of these channels mentioned above, plus hundreds more. ● Clear & accurate online tracking and notifications with delivery status. ● Efficient & proactive communication, e.g. email/text/phone updates. ● A proactive approach to following up queries and resolving issues. The Netherlands is an influential, digitally advanced country. E-commerce consumers are also keen on online shopping, especially now that mobile devices are becoming more and more convenient for that purpose. To find out more information about your selling options in the Netherlands and to get connected today, read out about solutions or simply follow the link below.